UniLine Casework & Cabinets are constructed of welded 18 gauge steel. Base cabinets have a load capacity of 500 pounds per linear foot. Powder coat finish is environment friendly, attractive and long lasting, color: silver beige. UniLine casework, quality & style for your laboratory. Casework is tested independently to be SEFA 8 compliant. Drawers extend to 18" full open, Interchangeable, interlocking drawer head, sound deadened for quiet operation. One piece drawer body with radiused bottom for easy cleaning. 150 pound dynamic drawer slide assembly mounted on welded channel assemblies. Interior is powder coated steel, stainless steel interior is optional. 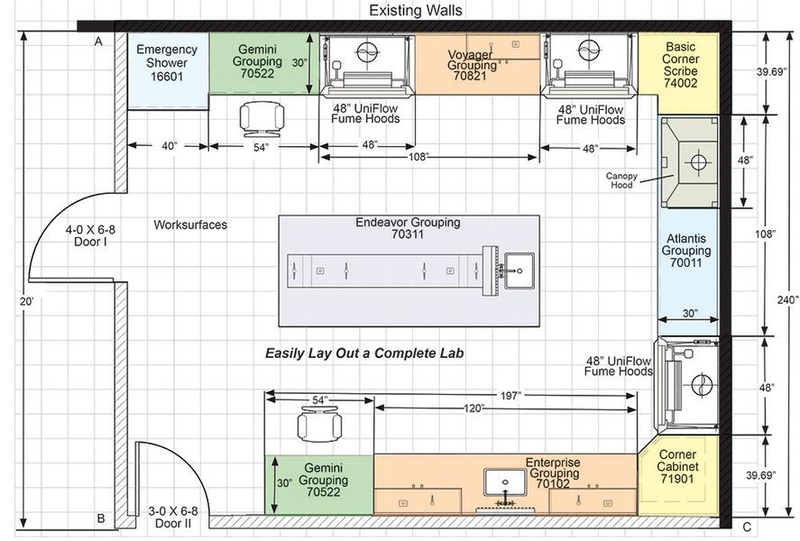 Recessed Toe Space 4 inches high 3-1/2 inches deep, promotes laboratory cleanliness. Cabinet base lower corner reinforcing gusset with 0 to 2-1/2" adjusting levelers on (all four corners). 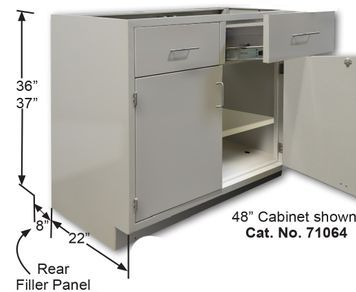 Cabinet height adjustable from 35" to 37-1/2".